A young girl shares an embrace and A Kiss for Snowman. He seems so lifelike--hope she doesn't melt his heart! 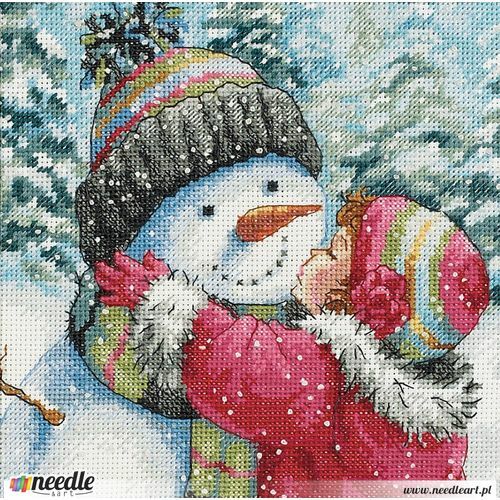 This tender scene in counted cross stitch is lovingly detailed and a joy to stitch. Finished Size: 6" x 6" (15 x 15 cm). Kit contains pre-sorted cotton thread, 18 count white cotton Aida, needle, and easy instructions. Designer: Hazel Lincoln. Illustration by Hazel Lincoln.